This summer in London, just over 10,000 athletes from 205 nations will be vying for around 1,000 Olympic medals spread across 302 events. Roughly one individual for every six million on the planet will step up onto an Olympic podium. But what does it take to become a member of this elite group of individuals? The obvious answer is an abundance of natural sporting ability. Ask most athletes and they will tell you that it also requires hours and hours of training and preparation every day for many years. And it takes no small amount of guts and determination to push a body that has reached its limits that one step further, to fight through the physical pain to triumph over other talented rivals. But what is the path an individual must follow to actually arrive on the Olympic stage? That individual’s talent must first be recognised, then it must be nurtured, harnessed and channelled to result in a technique that will be competitive at the very highest level. The raw talent needs a coach, infrastructure, equipment and facilities. The quality of this support network depends very much on which country that individual has been raised in. A look at the medals table gives some indication as to which countries provide the best and the poorest quality of support to budding sporting talent. At the top of the medal table, one can usually find the same countries: the USA, Russia and China followed by the likes of Great Britain, Germany and Australia. But some countries, the most populous ones, have an advantage in that they have a much greater pool of talent to draw from. The US has more than 320 million potential Olympic champions, while Ireland for example has just six million. 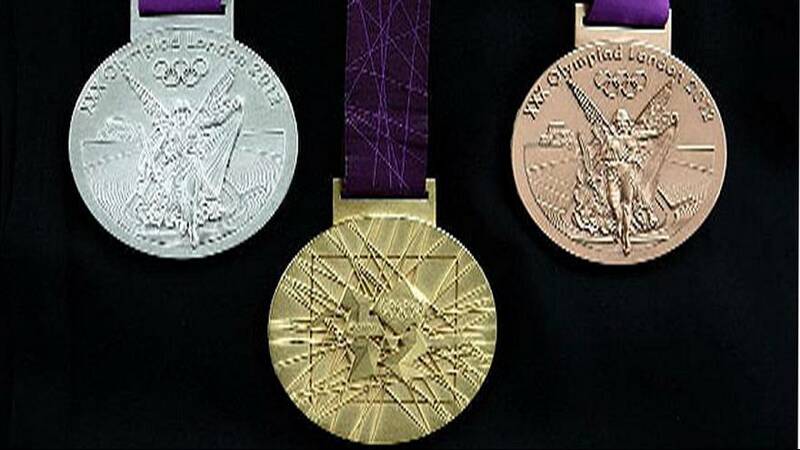 To get an idea of the proportion of a country’s population that tastes Olympic glory we can divide that population by the number of medals it has won. This provides us with a different medals table that informs us that, proportionally, Jamaica, Cuba and Australia provide more Olympic medallists than the USA, China or Russia. Another factor in a country’s capacity to produce Olympic winners is wealth; more money buys more equipment and better facilities and pays for more and higher-skilled coaches. Generally speaking, the richer countries are higher up the medals table than the poorer ones. Dividing the national GDP per capita by the number of medals won tells yet another story. China comes top because a) it won lots of medals and b) the GDP for every Chinese citizen is relatively low. Yet, China is soon to become the world’s number 1 economy and as a state is rich enough to manage the debt of the USA. Ethiopia and Kenya also feature high on the list of countries that provide the most medals per GDP per person. However these two factors alone are not enough to explain Olympic success. Australia and India provide interesting case studies as the former (population around 23 million) is consistently near the top of the medals table, while the latter (population around 1.3 billion) wins, on average, less than one medal per Olympic Games. We take a look at both of these cases. Hosting the Games is another determining factor in the medals tally, as we also look at. And the nature of government of a given country also affects its Olympic chances if we examine the historical success of the planned economies such as the USSR, China and Cuba.